Behind every great day in Houston, TX is a great night at our Comfort Inn Hwy. 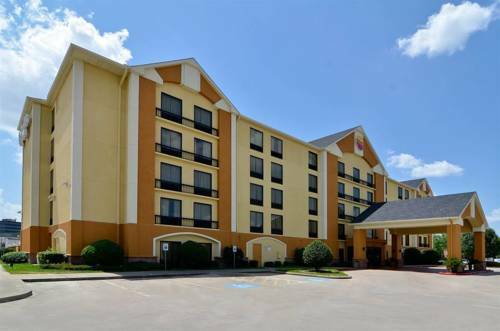 290/NW hotel, conveniently located near the Sam Houston Raceway, Rice University, Minute Maid Park and the NRG Stadium. Get work done as if you are in the office with our business center, free WiFi, free coffee, fitness center and free breakfast. Each guest room comes equipped with a refrigerator, microwave, hair dryer and coffee maker. Also, earn rewards including free nights and gift cards with our Choice Privileges Rewards program.